Dr. Jody Green, Extension Educator provides resources to help you make good decisions about pest problems. Drs. 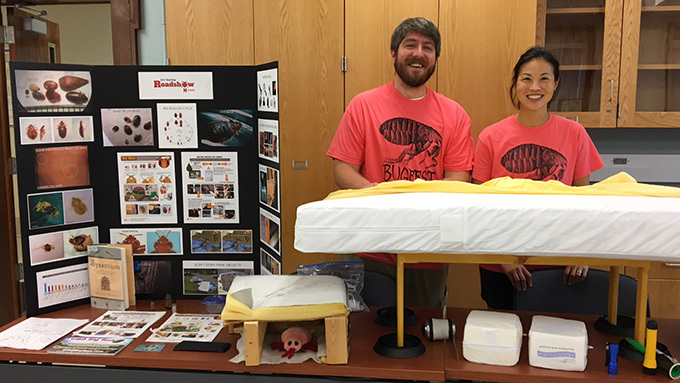 Jonathan Larson (L) and Jody Green (R), Extension Educators present to a number of different groups on topics like bed bugs. Dr. Jody Green, Extension Educator, specializes in identifying and providing education about arthropod pests. 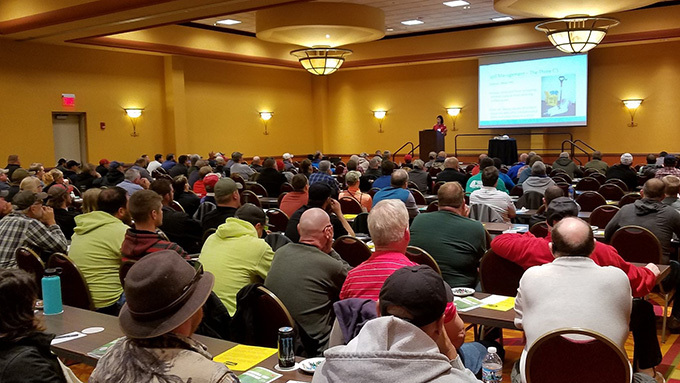 Dr. Jody Green, Extension Educator, presenting at the Nebraska Turf Conference. Photo by Bill Krueser (January 2018). Drs. 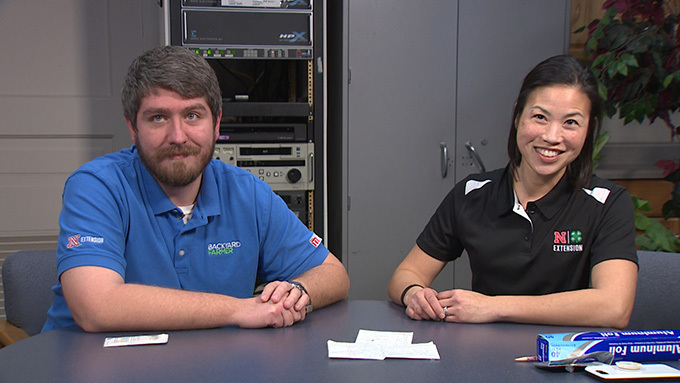 Jonathan Larson (L) and Jody Green (R), Extension Educators preparing a segment on squash vine borers. I've provided educational presentations to pesticide applicators, 4-H youth, public schools, childcare providers, healthcare professionals, property managers, school nurses, senior living centers, various community groups (Osher Life Long Learning Institute, Extension Master Gardeners, Master Naturalists, hand weavers guild), college students, science café, health inspectors, maintenance personnel, food industry and sanitarians, and various professional associations. If you have a request, please contact our office (402-441-7180) to inquire about speaker fees and details. Insect identification: It is estimated that there are over 1 million insects in the world, 1,000 species of ants in the United States, and it is surely possible to reside with 100 different species in and around our homes at a given time. It is important to know that not all arthropods are pests. No good will come of panicking. The first step in solving an insect or arthropod-related issue is to have the organism identified. I can help you with this. To make the process as efficient as possible, I need to see the specimen and some important information. Catch as many as possible while alive, put in a clear container with a lid, or sealed baggie, and put in freezer to kill and preserve. Use smart phone to capture 2-5 pictures of organism, do not zoom in, try and get focused shot of identifying characteristics (scale, shape, antennae, all body parts). Tips on how to take the best photos for submission. Prohibited items:Do not bring these items to the office or mail them. Do not email photos of these items. Due to potential biohazards/safety concerns we CANNOT accept or examine: • Human skin, blood or bodily fluids. • Clothing, fabric or textiles. • Food items. • Sponges, cleaning cloths, lint roller sheets, toilet/tissue paper, vacuum cleaner bags or sweepings. • Complete sticky trap or glue boards. • Any liquids (other than ethanol used for preservation). Photos of skin lesions, bites, scrapes, or body parts of humans or animals. Where are you seeing this organism? How long have you been seeing them? How many have you seen? Describe the damage this pest is causing. Contact information – Email is preferred. It will take longer for me to respond if you only leave your phone number. Where are you seeing this organism? How long have you been seeing them? How many have you seen? Describe the damage this pest is causing. Contact information – Email is preferred. It will take longer for me to respond if you only leave your phone number. Lancaster County, Nebraska Residents: samples can be left at the extension office, 444 Cherrycreek Rd, Ste A in Lincoln, NE. Office hours are M-F, 8-4:30 except holidays. There is an after-hours, drop-off box by the front door. Outside of Lancaster County, Nebraska: contact your local extension office. Find your local office here. Email photos along with the submission information to jgreen17@unl.edu. 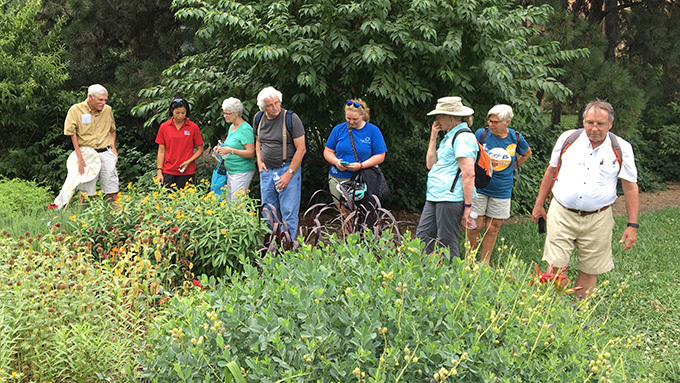 Plants: Come in to visit or call the office 402-441-7180 and speak to the Master Gardeners who are trained to handle your questions about the yard, garden and landscape. They are in the office during the summer months from 9-noon each day. If you live outside of Lancaster County, Nebraska, contact your local extension office. Find your local office here. Biting Pests: If you have been bitten AND have captured the specimen that bit you, please keep and have it identified. If you do not have a sample and did not witness the bite, I cannot identify what bit you. Because every individual has their own unique immune system, it is impossible to diagnose the cause of the skin reaction by looking at lesions or bites alone. Neither I, nor a medical doctor, can say for certain that a skin reaction was caused by a particular insect. If you are suffering from a skin reaction, it is recommended you see your physician, dermatologist or someone in the medical profession that can help you treat your symptoms. Without positively identifying a pest, I will not recommend insecticide treatment as a solution. For most insect issues, I will typically recommend sanitation, habitat modification, and pest exclusion techniques as part as an integrated approach because I care about long-term solutions for you and your family. Sometimes insecticides are a useful tool that can be used as part of the treatment. Always read and follow the pesticide label to protect non-targets from the negative effects of pesticide exposure. Bed Bugs: If you think you have bed bugs, do not panic. Perform a visual inspection around the bed, submit a sample. Recommending a Pest Control Company: Many people call and ask if I can recommend a pest control company. As Nebraska Extension, we cannot compete with local business nor do we offer recommendations. My advice to homeowners about choosing a pest management company includes: call more than one company, ask intelligent questions, call the Better Business Bureau, and inquire about their treatment and what the contract entails (inspection, chemical and non-chemical treatments, guarantees, specific products). Jody Green is an Extension educator with Nebraska Extension in Lancaster County, with a specialty in urban entomology. Her primary focus is developing educational programs related to structural and health-related arthropod pests for communities in Nebraska. 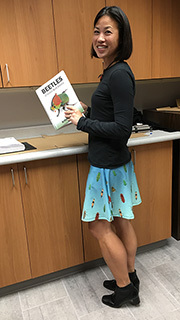 Jody earned her MS (’04) and PhD (’08) in Entomology from Purdue University and is a board certified entomologist (ESA ’08) with a specialty in Urban/Industrial Entomology. She has practical experience in the field of pest management through employment as pesticide applicator, termite inspector, pest consultant, correspondence course author, and trainer/presenter for various urban pest programs/workshops. 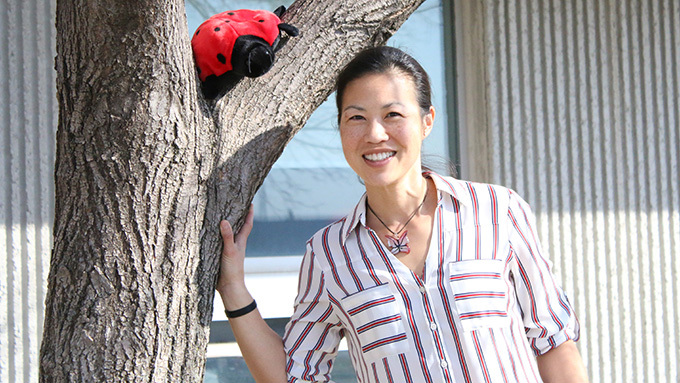 Her goal is to educate people in the community about how to make good decisions about managing insect and arthropod pests in urban areas, while protecting non-target organisms (i.e. children, seniors, pollinators, pets, sensitive environment, etc.) from unnecessary pesticide exposure.